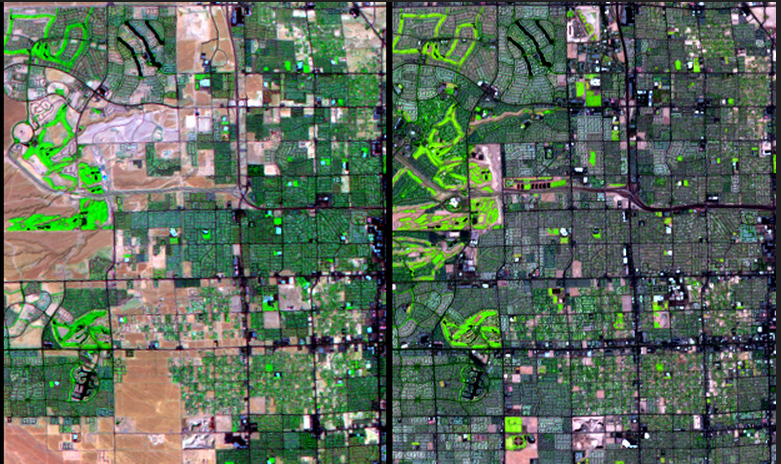 How might land use and land cover change within the United States over the next century? Last June, USGCRP’s Coordinating Group on Scenarios and Interpretive Science held a workshop to lay the groundwork for answering this question. One of two workshops on developing scenarios of future national change, this event brought together scientists and information users to identify needs, capabilities, barriers, and opportunities for producing national-scale, regionally tailored, and spatially explicit scenarios of changes in land use and land cover. The workshop is summarized in a report released this week. Scenarios are descriptions of plausible future conditions—either narrative or quantitative—that provide a basis for analyzing potential impacts of and responses to global change. Though they are not predictions or forecasts, they are useful tools for understanding how future conditions might evolve under a range of possible outcomes. Scenarios of changes in land use and land cover, in particular, are critical for understanding how future climate change may affect society and how global processes connect to regional and local conditions. Developing these scenarios is an important element of USGCRP’s sustained assessment process, and the results can support future National Climate Assessments, Federal agency efforts to understand future vulnerabilities to climate change, and a variety of other decision support needs.